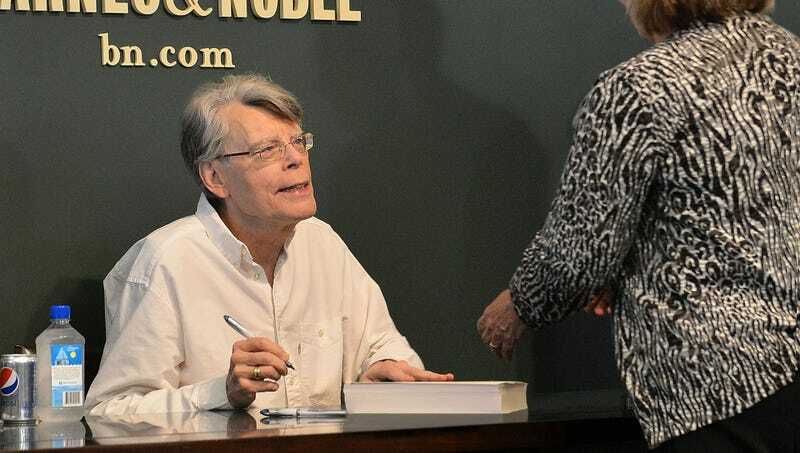 PORTSMOUTH, NH—Expressing frustration as he spotted readers stretching out of the door at a local Barnes & Noble, bestselling author Stephen King was reportedly stuck at a book signing for hours Thursday writing personalized novels for fans. “God, every one of them seems to want me to write some little flourish to show their friends, whether it’s naming the book’s main character after them or coming up with some ghost that mirrors their personal demons,” said King, arguing that it was no big deal penning one or two supernatural horror novels for die-hard fans at the reading, but after writing the first 50 or so fan’s books, he would just zone out, focus on keeping his hand from cramping, and dash off the same boilerplate for everyone in line. “I got halfway through penning the last novel about a psychotic propeller boat, and the guy suddenly looks at me really expectantly and asks if I can put something in the book about his daughter. The worst is when they barely know my stuff and they bring me a James Patterson novel to write.” King, however, admitted that he did get the idea for The Shining when writing a personalized novel for a fan named Jack Torrance during a 1974 book signing.